Members who leave their job prior to retirement may be eligible to receive a refund of their annuity savings account. Members will receive a return of their accumulated total deductions plus accrued statutory interest provided they are not subject to pension forfeiture provisions due to a criminal conviction, or charged with misappropriation of funds. Members who voluntarily terminate public service with at least ten years of creditable service will receive 100% of the regular interest that has accrued in their annuity savings account. Likewise, members who are involuntarily terminated will receive 100% of the regular interest that has accrued. Members who have accrued less than ten years of creditable service will receive interest at the rate of 3% on their accumulated total deductions. Please note that members who apply for a refund more than two years after the date of termination of service will receive only the interest accumulated during the two years immediately following termination of service. they are accepting a position in the service of the Commonwealth or a political subdivision governed by G.L. c. 32. A refund of a member’s total accumulated deductions terminates a member’s rights in the retirement system. 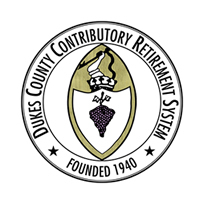 Members who later re-enter the retirement system will be considered new members and will be subject to any benefit changes in effect at the time of their re-employment. A member with ten or more years of creditable service is vested and potentially eligible for a retirement allowance. By taking a withdrawal of their accumulated total deductions, they will lose any right to this retirement allowance. Members who redeposit a refund and again become employed and active members must generally remain in active service for at least two consecutive years in order to retire.